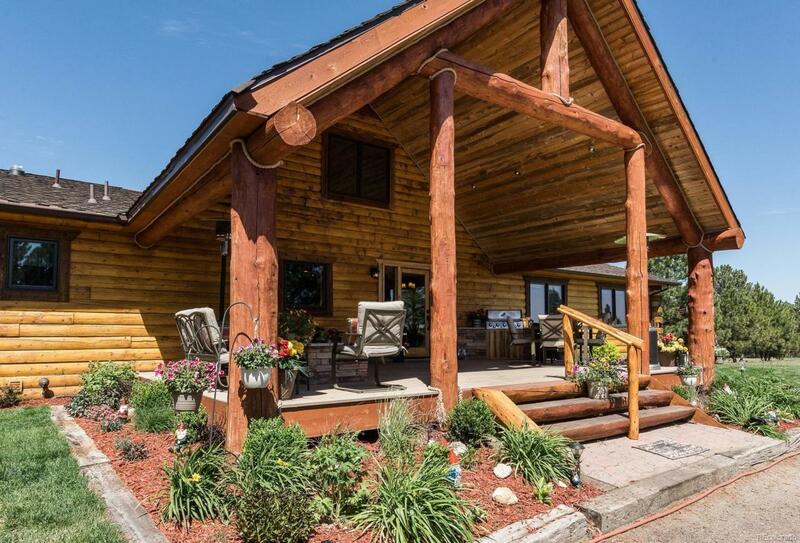 Exquisite stunning secluded Custom Log home with Mountain Views and Pine trees. 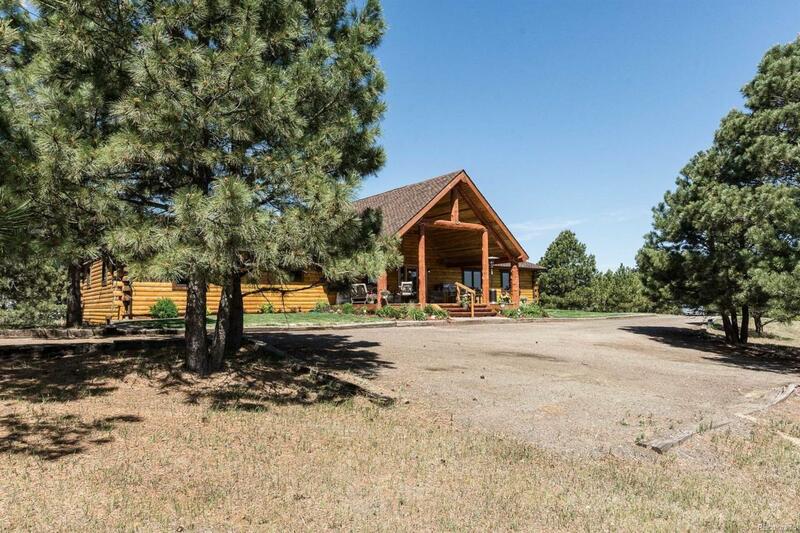 This gorgeous rustic retreat is conveniently located just off paved roads in Elbert County. Double Tongue and Groove 5 Bedroom, 3 Bath Log ranch style home with Loft and full walkout basement is in pristine condition with New Roof, Newer Windows and many updates and upgrades throughout. 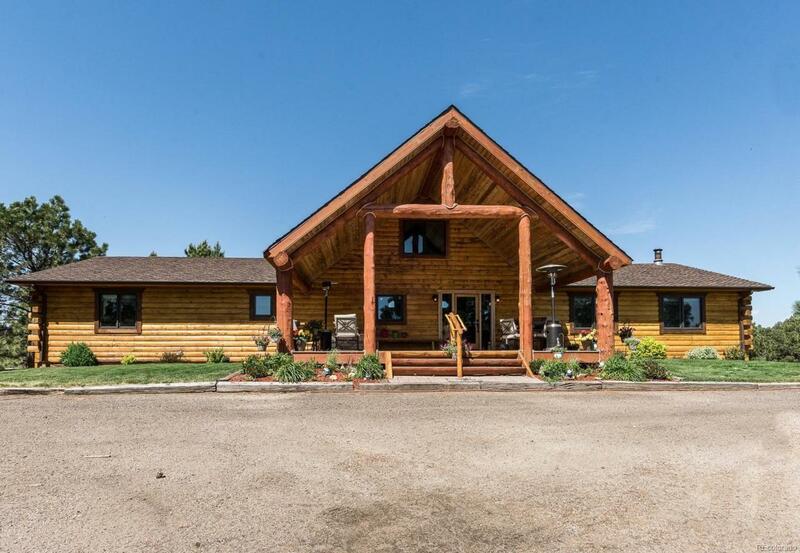 The main floor is open and features a Master Suite, Large Bedrooms, cozy Living Room, Gourmet Kitchen and Den/Family room perfect for entertaining or relaxing with custom Log bar, home theatre and stone fireplace. Gleaming Hardwood floors. Walkout basement is fully finished with huge bedrooms, in-floor Radiant heat and large Laundry room. Lots of Storage. 30x30 amazing 3-car Garage. The interior is Perfect. 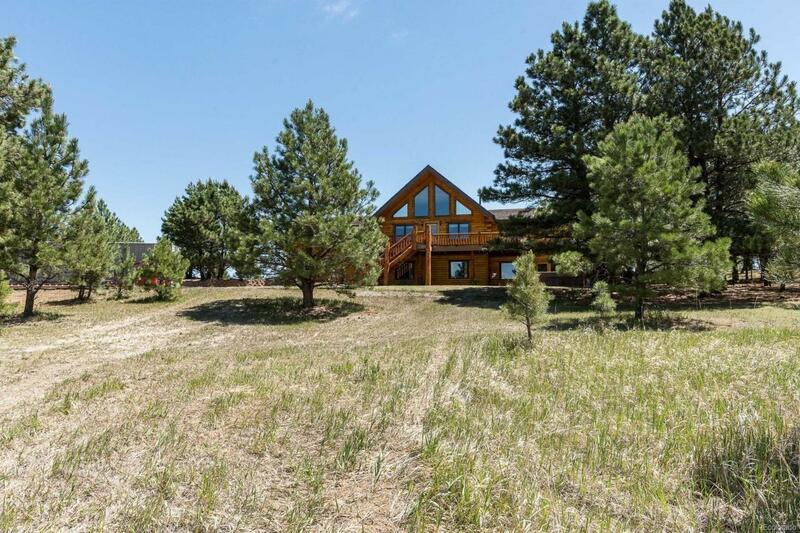 Step outside for peaceful pastoral private tranquility on 80 Acres with an ideal balance of pine trees and open Pasture. Trex covered Deck with Fire pit and Grill. Big Barn. Must See!